1. Under Shapes and Forms Feng Shui avoid placing the stove facing the sink and vice-versa. 2. For the 4-room type, it is perfectly acceptable to have the stove side-by-side to the sink. 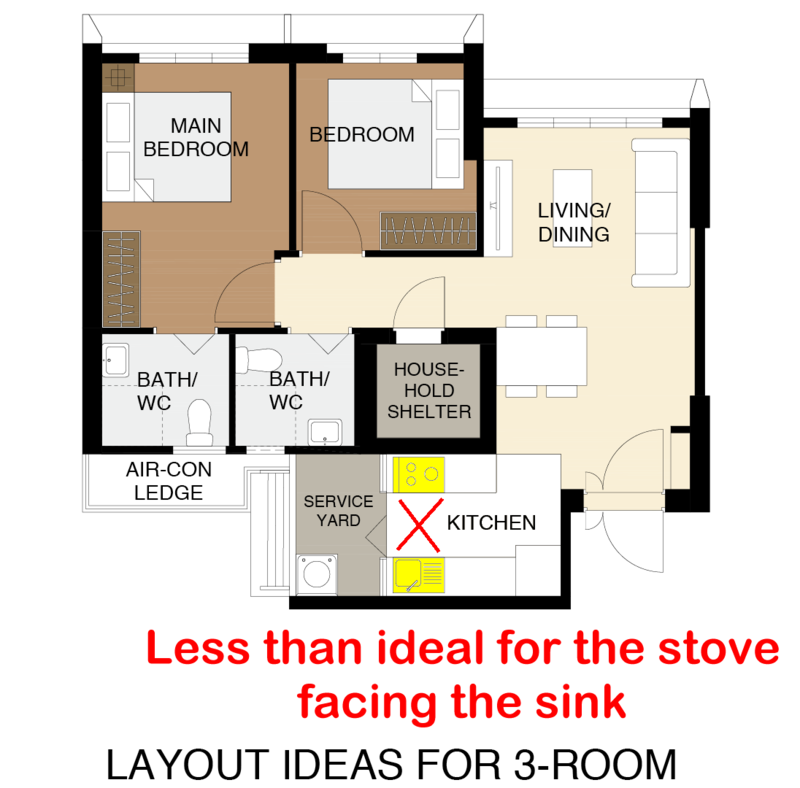 Ideally, best to leave a distance of at least 30cm between the drainage sink and the border of the stove. 3. Another plus is the Park acting as a buffer with the PIE. 4. Thus even if this site is not as outstanding due to the curved slip road inwards towards the development; all stacks/units are shielded from these roads. 5. The planners of this estate seriously took the environment into consideration. Contrast this to HDB Tampines GreenVines. A pale planning comparision to this development. 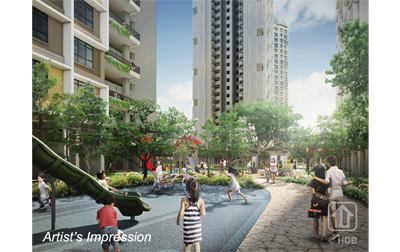 Part 4: Avoid purchasing a unit in full/partial view of the Precinct Pavilion: especially low storeys such as stacks #530 and #532. Avoid purchasing low level stacks #530 and #532. As these two stacks directly faces the precinct pavilion. If possible, also; avoid low level stacks #538 and #540. 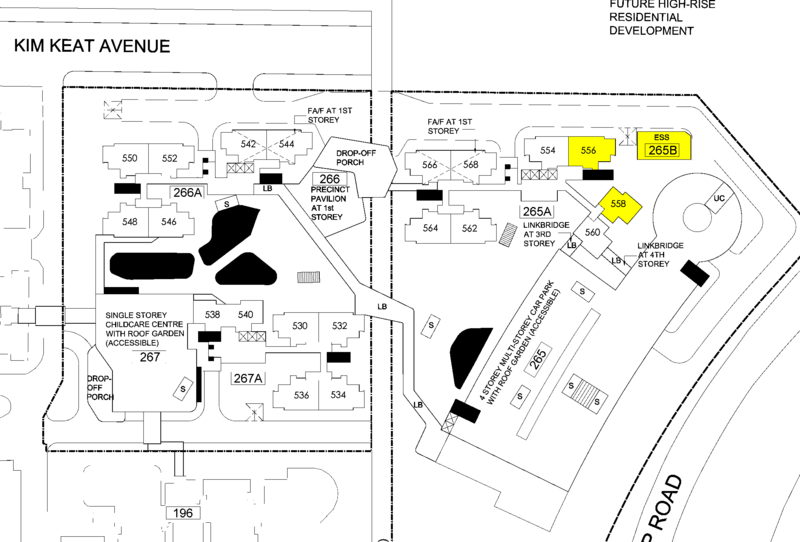 In addition: stack #564 is pretty close to the precinct pavilion. Thus do avoid low storeys in this stack. 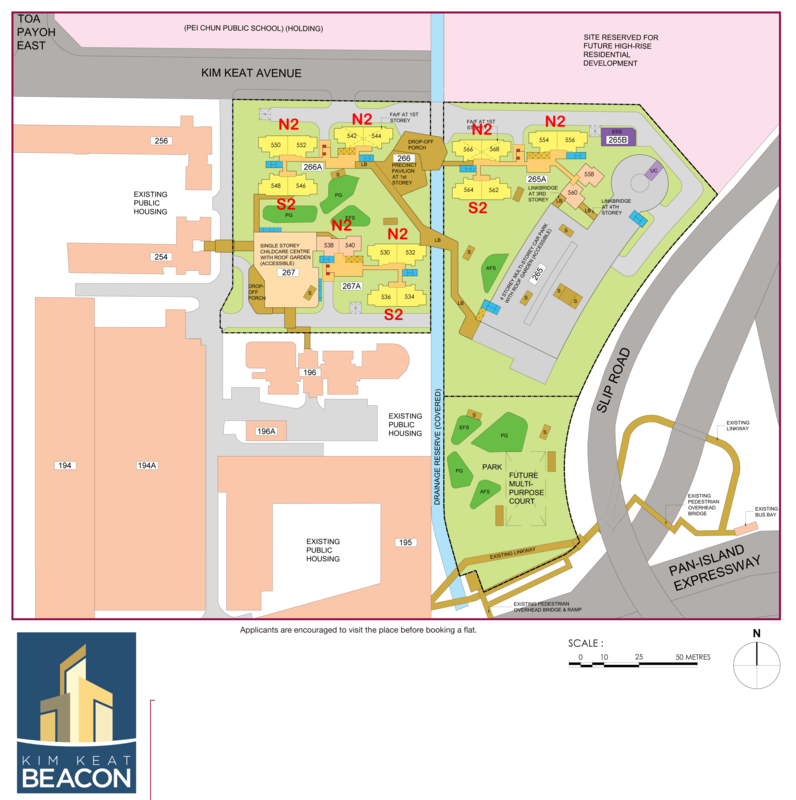 Part 5: Is it inauspicious to live near to an Electrical Sub-Station (ESS)? However, it has more to do with taboos or grand mother tales that one should not purchase a unit close to an ESS. 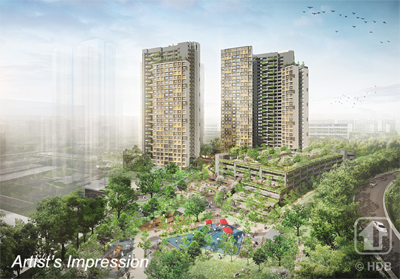 Such as avoid purchasing low storeys of stacks #556 and #558. 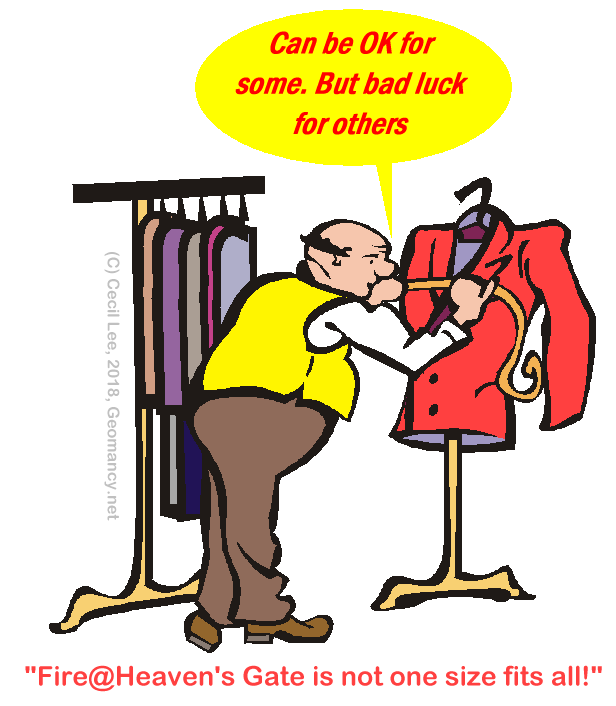 Unfortunately, sometimes, it is difficult to change one's perception. If so, do give these two stacks (low storeys) a miss. 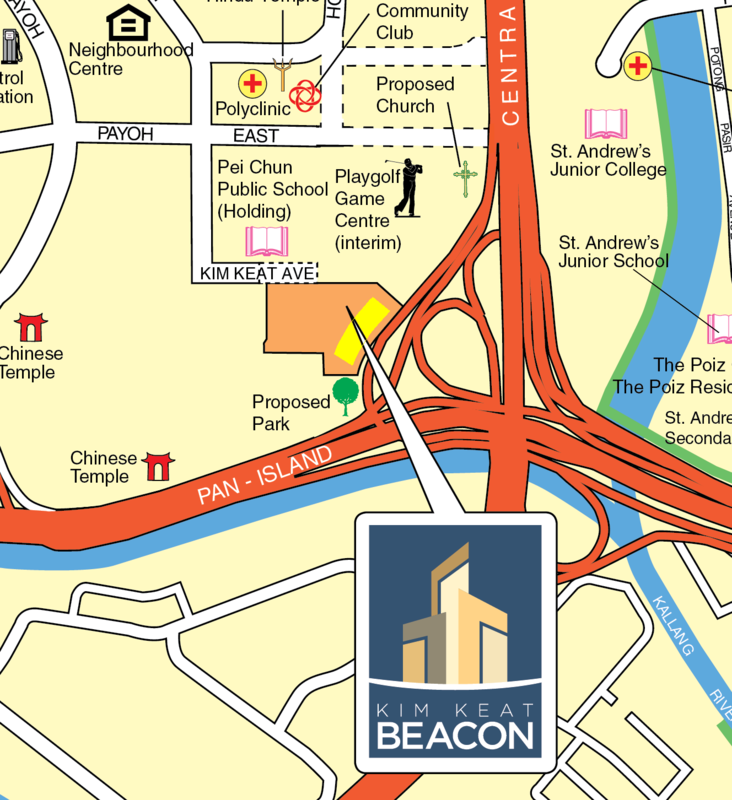 For HDB Kim Keat Beacon, majority of the central rubbish bins are generally well placed. And nothing out of the ordinary. 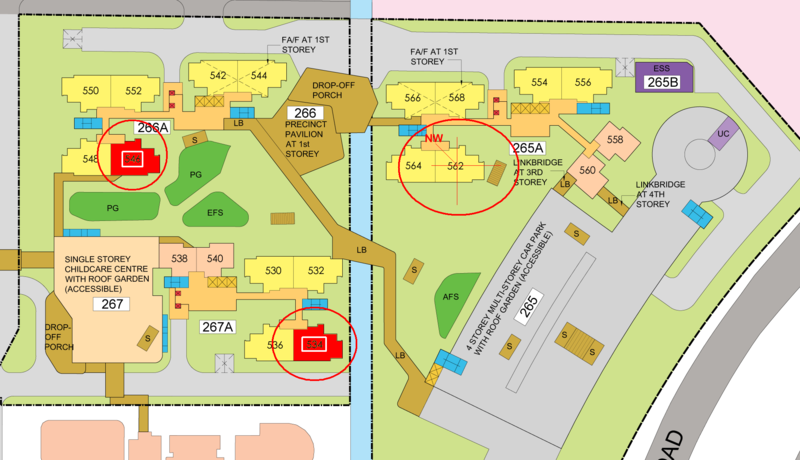 With the exception of Block 267A: where at the main door of stack #540: one has a full view of one of the central bins. P.S. Nowadays, each block has two bins: recyle and regular bins. 7. 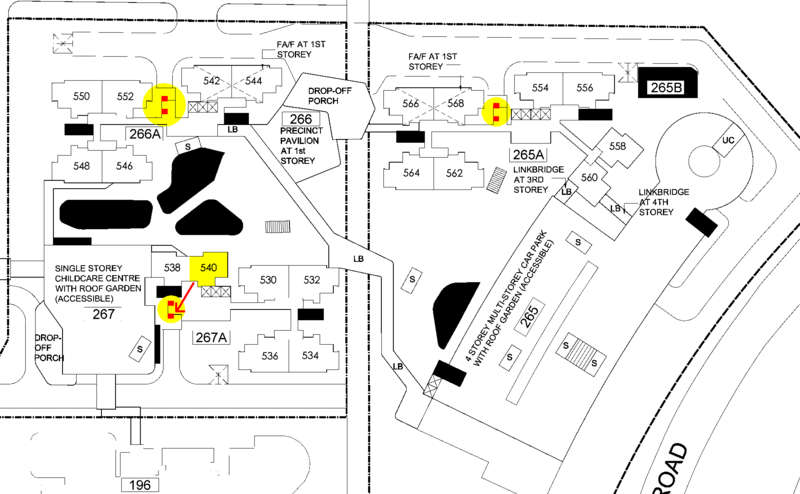 In addition, stacks #534 and #546 (circled in RED, see below) are also affected by the kitchen at NW. Both these stacks are S2 facing with kitchen at the Fire at Heaven's gate location. Toa Payoh East borders Potong Pasir to it’s right or East. Today, CTE divides this two districts. Hi Cecil, I'll like to check - isn't #562 kitchen facing the north-east? 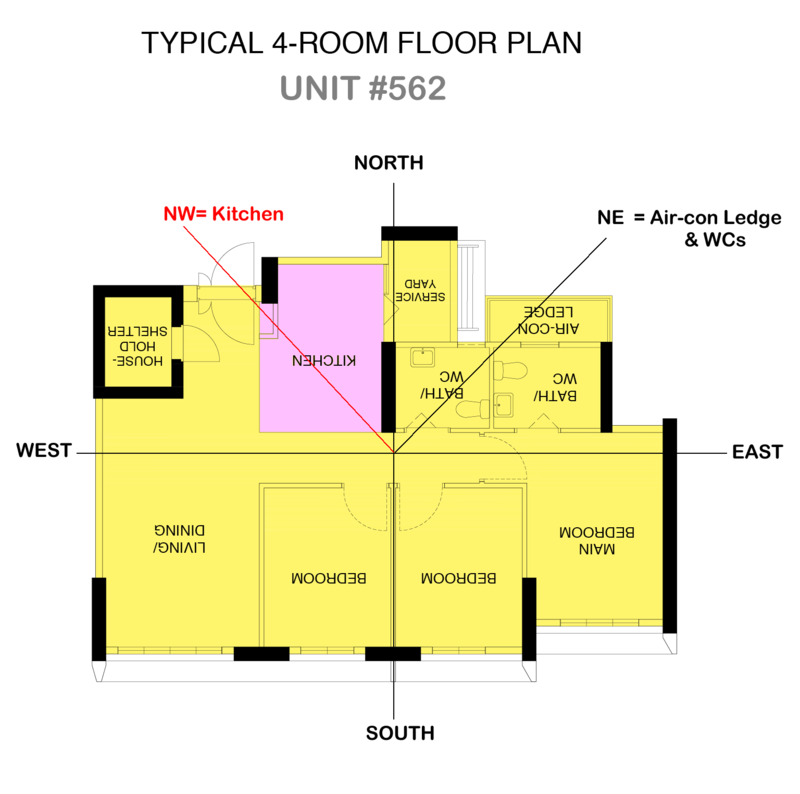 How do you determine if the kitchen is facing north-west? thank you! Honestly, I have done evaluation for many decades. 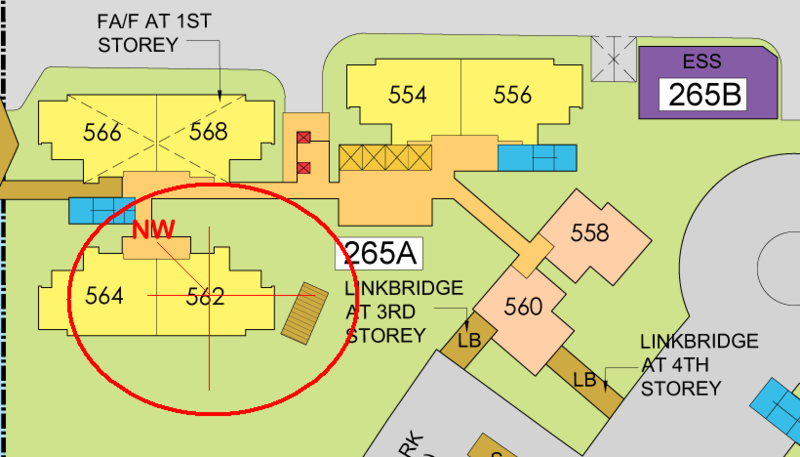 And one look without doing a mapping, I can zoom and confirm mentally whether or not the kitchen is at NW. No need to map it out. The mapping is for your benefit to clear your doubt. NE by the way happens to be located at the Air-con ledge and Bath/ WCs. Case Study - Why are you not replying to my doubts on what you say? Good that guests or users do your own due diligence instead of making sweeping statements based simply on that momentary feel or a need perhaps to post something-just anything. No one is perfect. We publish many research papers. These are serious information. Thus treat these with respect. We are more than happy if one can provide facts to prove otherwise IF NOT it not only adds more confusion + doubts to readers + affects one’s reputation. Thus please post something constructive and not out of a person’s gut-feel or something plucked-out from the thin air given that it may be unintentionally. Where are your “Facts, facts and simply facts”? Thus this has to be put right. Hi Cecil, Given 564 is having a mirror image of 562, how differently will the NW facing not affect 564? If not given a choice, we can only get stack 562, is there any way or suggestions that can be recommended to overcome / change it? 1. You wrote: "Hi Cecil, Given 564 is having a mirror image of 562, how differently will the NW facing not affect 564?" 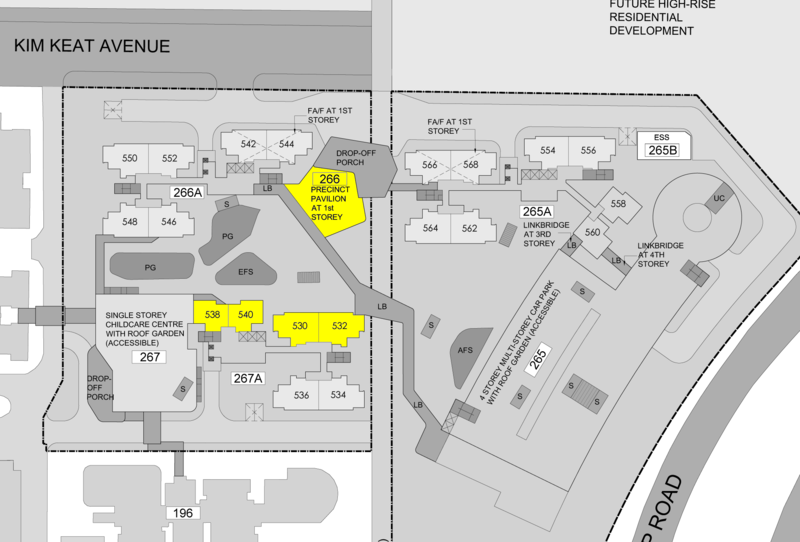 1.1 The kitchen will now be at NE and thus no need even to discuss NW = Fire at Heaven's Gate for 564 right? 3. 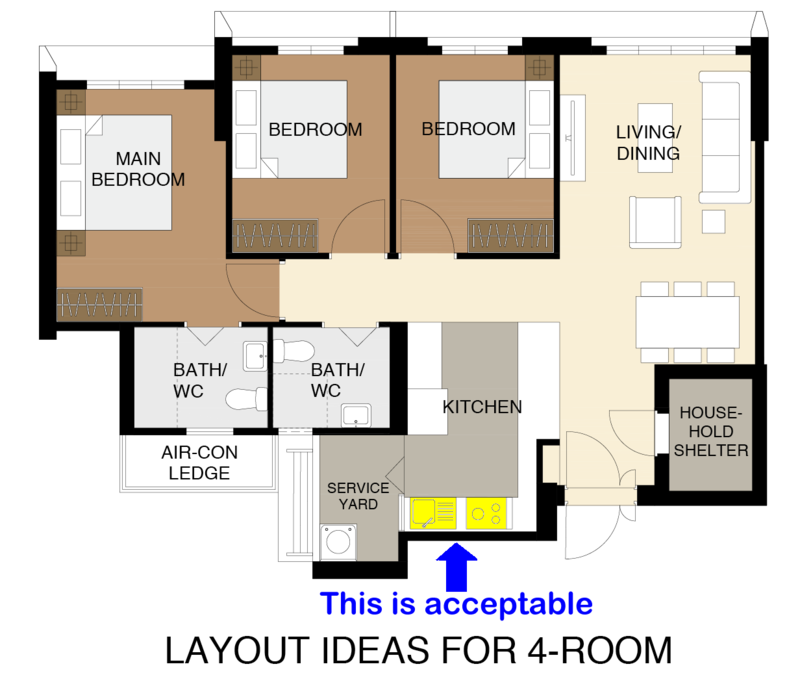 Why are some owners less affected by a kitchen at NW while some others much more? 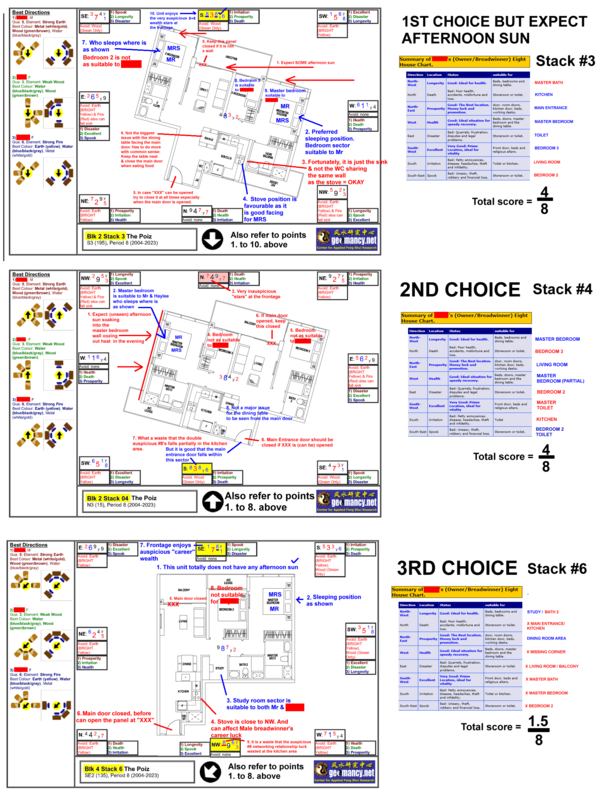 3.1 Taking a cue from Management Principles called: "Situational Approach". Here, no two homes are the same even if it is exactly the same unit for each individual person(s). a. You and I or them may not be of the same suitability even within the same unit. b. Time. Flying Stars can change one's luck in any year. 3.2 For example breadwinners can be worlds apart: A Mr Tan even if he is an East group person can have different ba zi etc... Thus if another person Mr Lim then may even have a different outcome. Here, it is not like one-size fits all. 3.3. This is why.. some who stayed in a home with kitchen even at NW may say.. no issue. What is all this concern about "Fire at Heaven's gate?". To this person, he may say "Nonsense!". Here, for him there are more pros than cons. And in a "maximising of marks" situation: even with a NW handicap, his overall score can even be as high as 76 or 85 marks! 3.4. It may be a totally different night-mare for another perhaps Mr Sim. 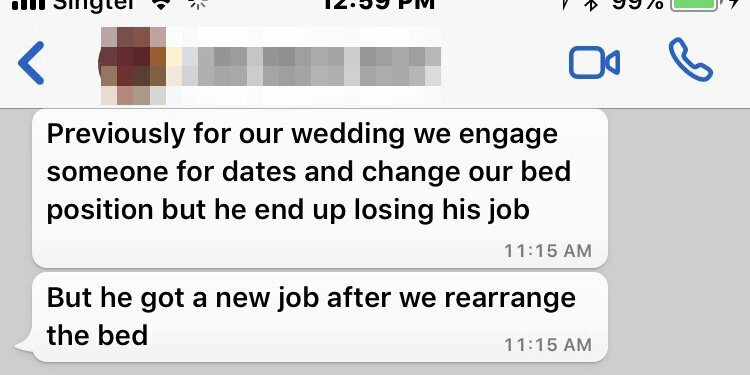 The moment he moves into his new home - retrenchment and retrenchments .. financial / relationships / marriage-divorce issues. 4. Not only is the need to consider: "How suitable is the house to the male breadwinner?" Plus considerations like: "Summary of breadwinner's Eight House Chart as mentioned under Para 4.2, below." 4.3. 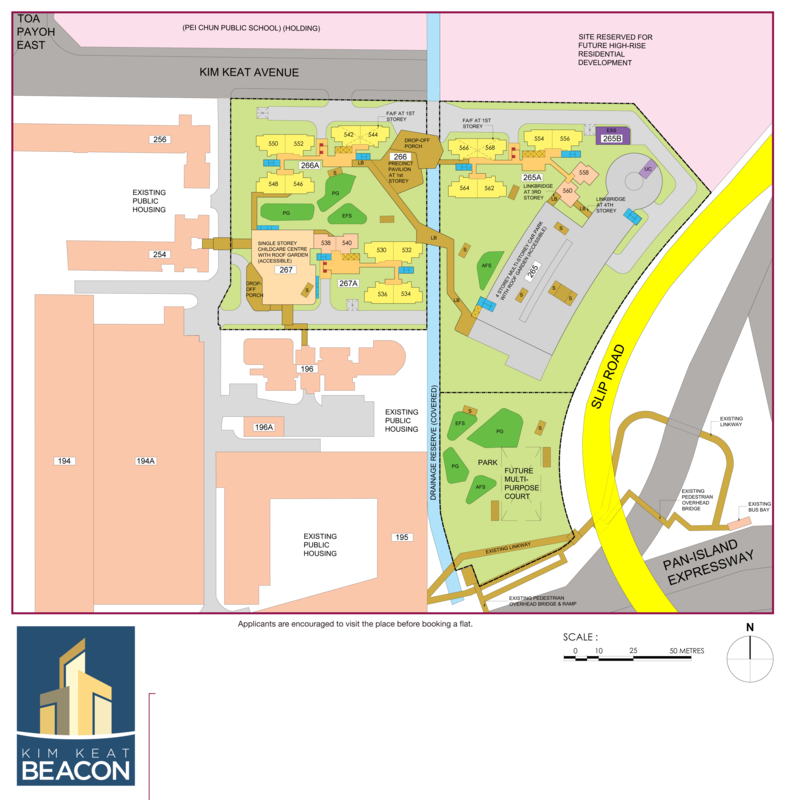 Check how many sectors are favourable and also where are the located within the house. For example, if the toilet is located in one's prosperity sector again, this pulls the luck further down. 5.1 You wrote: "Is there any way or suggestions that can be recommended to overcome / change it?" 5.2 Of course! 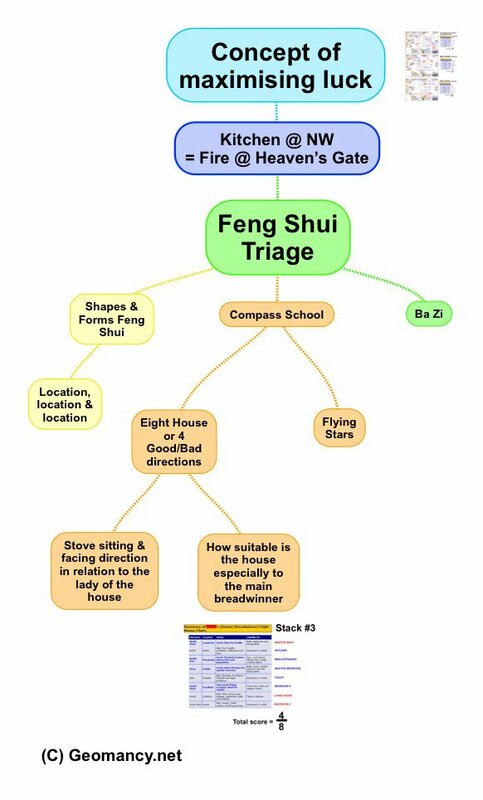 This has to take into consideration also who are staying in that home plus comprehensive Feng Shui Triage + The concept of maximizing luck. Including Fix-the-leaks etc..
6. In conclusion - a repeat of what you asked:- "Is there any way or suggestions that can be recommended to overcome / change it?" 6.1. Frankly, if it is that easy to pluck out an answer from the thin-air.. then there is no need at all for the field of combined Art and Science of Feng Shui right? 6.2. Alternatively, just crossing-fingers and hope the above Para 3.3. does apply to you.